Jeffrey Bezos is the founder and CEO of Amazon.com. The 48-year-old is one of the pioneers of the e-commerce market, founding the world’s largest online retailer, Amazon.com, in 1994. The site started as a bookstore but grew rapidly, and currently sells a variety of products including electronics, furniture, grocery, toys and jewellery. Amazon.com recently introduced the new and advanced Kindle Fire HD, an upgrade to its best-selling Kindle Fire tablet device that it launched last year. The tablet, a direct competition to Apple’s iPad, captured 22 per cent of US tablet sales in nine months. Amazon first released Kindle, a digital book reader, in 2007 and the device soon went on to revolutionise the publishing industry. Bezos, named Time magazine’s Person of the Year in 1999, is the 25th richest man in the world, with a personal fortune of $18.4 billion, according to Forbes. 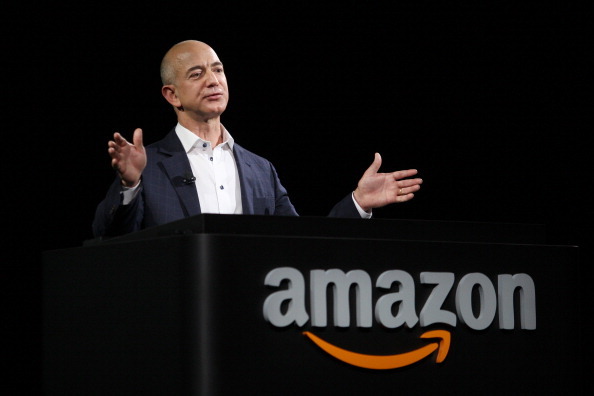 His wealth is being driven by Amazon, which saw net sales rising 41 per cent year-on-year to $48.08 billion in 2011. A space buff, Bezos is also the founder of Blue Origin, a secretive entrepreneurial space research centre that aims to provide people with “affordable space travel” in the future. Why Women Rule The world?